If you don’t faint at the sight of blood, enjoy people, and are up for a challenge, then a career in phlebotomy may be just what you’re looking for. As the front-line contact for most-things-laboratory, phlebotomists provide the initial human touch that can make or break a patient’s lab experience. 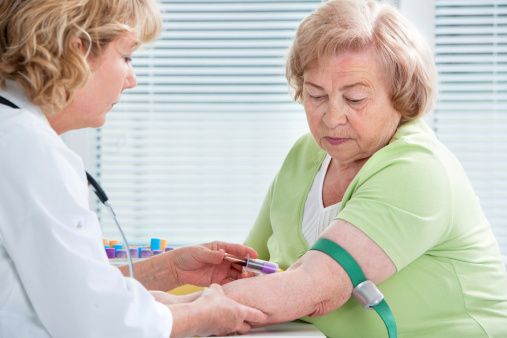 What duties do phlebotomist have? 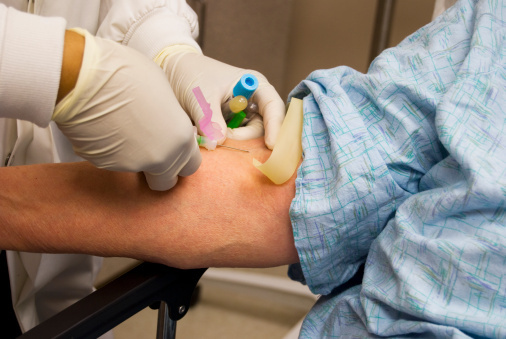 Phlebotomist jobs are available in a variety of settings, including hospitals, outpatient clinics, medical practices, public health facilities, reference labs and blood banks. Duties, patient types, and schedules vary, depending upon the setting. Preparing patients for the procedure, including verifying patient identification and tests to be performed. Preparing and organizing appropriate supplies. Applying a tourniquet and finding an accessible vein. Ensuring specimens are obtained in appropriate devices for testing purposes. Handling, labeling and distributing specimens safely and accurately. Providing appropriate care to the collection site. Recognizing adverse reactions and intervening appropriately. Maintaining Universal Precautions and biohazard safety. Completing and processing documentation accurately. Maintaining a safe and professional environment for patient care. Conducting interviews and taking vital signs in settings such as blood banks. What qualities does a great phlebotomist have? A great phlebotomist is someone who enjoys working with people, is calm, compassionate, detail-oriented, efficient and organized. The ability to handle stressful situations and maintain flexibility in the fast pace of a healthcare environment is key. Depending upon the setting you choose, as well as the shift you’re assigned to, you may also need the physical ability to stand for long periods and cover a lot of ground at odd hours of the day and night. Enrollment in an accredited training program requires either a high school diploma or GED. Since California is the only state that regulates phlebotomy training, you’ll have to be careful when selecting a school. The Center for Phlebotomy Education provides some great tips about how to find an excellent phlebotomy school and what to look for. Phlebotomy programs are offered in a variety of settings, including technical schools, community colleges, and hospitals. Completion usually takes four to eight months, after which you’ll receive a certificate of completion, and sometimes a diploma. After graduation, you’re able to start working right away, but many employers desire phlebotomy certification. Eligibility requirements for certification vary, depending upon the certifying body. One of the most respected is the American Society for Clinical Pathology Board of Certification (ASCP BOC), making ASCP certification the gold standard in many settings. Another well-respected program is provided by American Medical Technologists. This Directory of Phlebotomy Certification Agencies provides a list of those that are nationally recognized, ethical, and maintain CLSI standards. The ACSP 2010 Wage Survey reported that phlebotomists who were certified earned $14.06/hr, while those who weren’t certified earned $12.66/hr. Certified phlebotomy supervisors earned 20.38/hr, and those who weren’t certified earned $19.02/hr. Rates varied according to settings and other variables, such as whether shift differential was offered. The highest paying settings were found in reference laboratories, as well in specific states. As a phlebotomist, you can easily cross-train for additional roles to improve your career opportunities and salary. According to the ASCP 2012 Vacancy Survey, phlebotomist vacancies were the highest and had the most expected openings. The explosion of the aging population is driving a parallel demand for medical care – so job growth and stability are strong. The most similar medical careers are probably medical laboratory technicians, and medical laboratory assistants. Medical lab technicians typically require an associate’s degree, and have more opportunities for advancement. Lab assistants don’t draw blood, but they may perform other similar duties and start out at a comparable pay range. However, they don’t have the same opportunities for advancement, such as holding supervisory positions. Traveling phlebotomists enjoy a lot of perks. You’ll get to see new places, work in some of the best healthcare institutions in the country, make great money, and often have your benefits and living expenses included. Traveling contracts vary, but can be as short as 13 weeks. Salary depends upon things like your experience and credentials, work setting, shift, and employer. If you enjoy people and science, love a challenge, and are looking for work that makes a difference, becoming a phlebotomist may be the perfect profession for you. And if you’re experienced, hitting the road as a traveling Phlebotomy Technician will let you do what you love while seeing the country. It may be just what you need to energize your career.